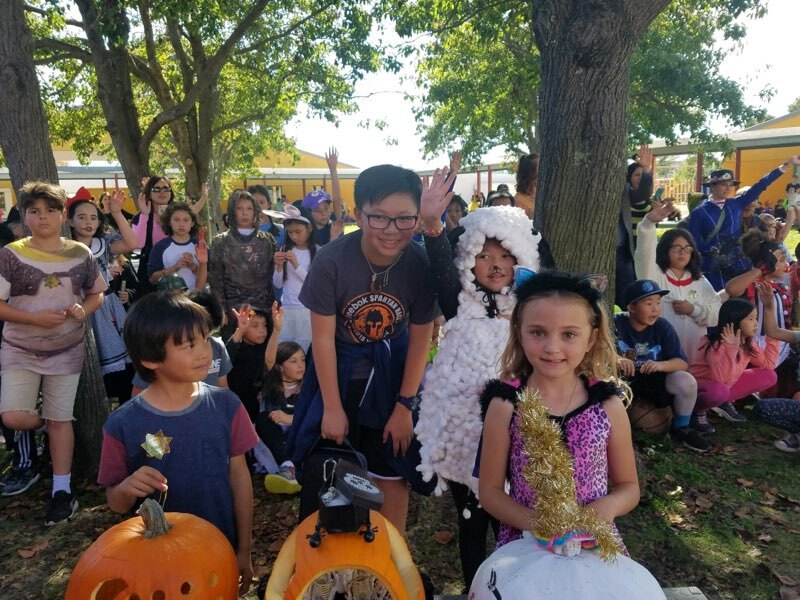 This year, schools around Alameda got to do something different for Halloween, thanks to a group of students led by Sienna Arroyo, a 3rd grader at Bay Farm. On October 9, Sienna went to the Alameda United School District board with a group of Bay Farm students and presented a case to change the district’s policies regarding Halloween celebrations. The new policy is modeled after the policy at the Los Angeles School District, and Alameda principals have the final say on whether their school will participate. Sienna got the idea to do this one day when she was supposed to be practicing typing. She told her mom that she would rather write a letter to the people that banned Halloween. Her mom agreed, and that led to a Halloween parade at Bay Farm School this year. At the school board meeting, the students had strong arguments to bring Halloween back to schools. On Halloween at Bay Farm School, there was a great turnout of students for the school’s first Halloween parade. Even the principal, Mrs. Crawford, dressed up! 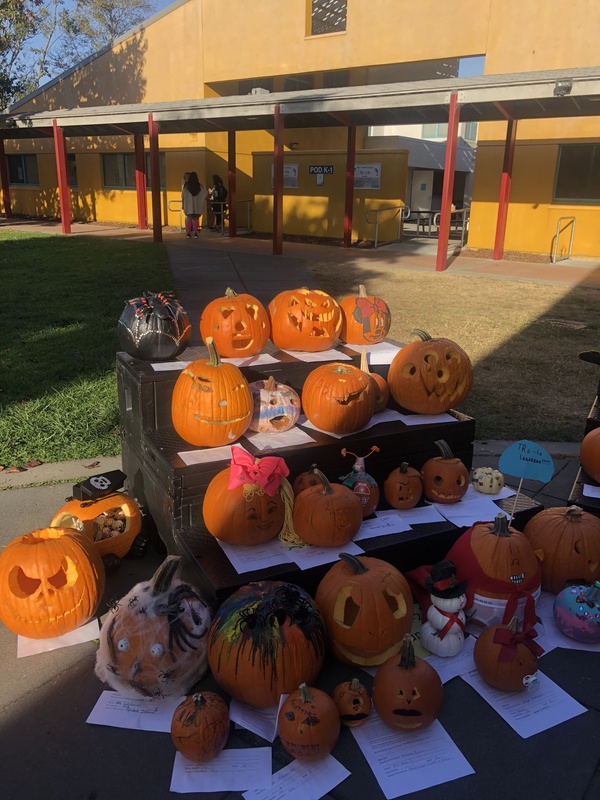 During lunch, there was a great parade around the school grounds, ending with the announcement of the winners of the Pumpkin Carving Contest. Middle School students volunteered to help with the parade and keep younger kids organized. After a great first Halloween parade, it is almost definitely coming back next year. Want to contribute to the newspaper? Teachers hosted activities like “Bring Your Own Slime” and speed cup stacking. if you have a story idea or are interested in submitting an article or photo!